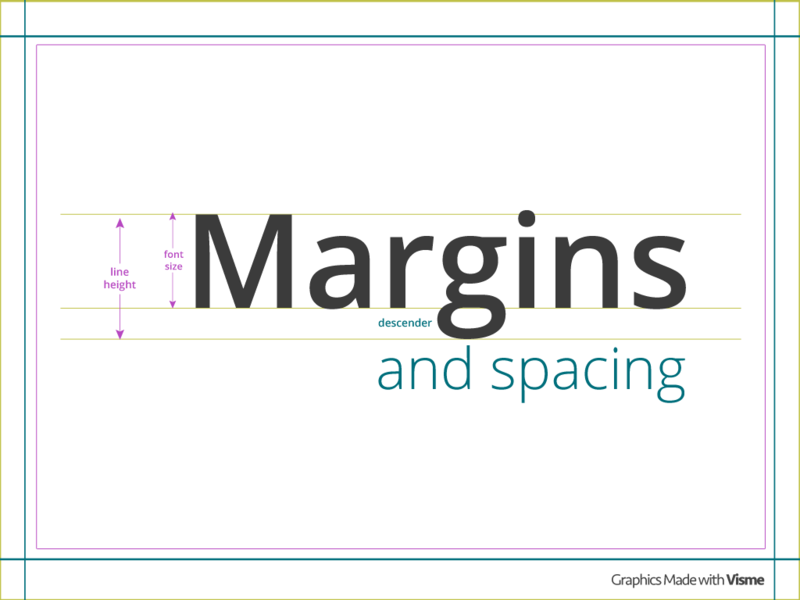 Spacing and Margins are one of the key secrets experienced designers use to create clean well balanced design. The fact is the principles are quite simple where anyone can follow and drastically improve their visual content. Margins, Trim Marks and Bleeds. Everything starts with your stage area. This is the real estate where you place your content and graphics and utilizing this area is an important part of the design process. 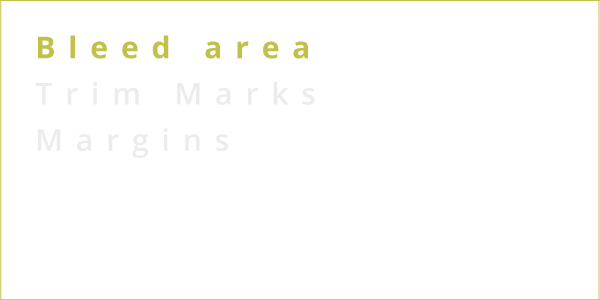 Margins, trim areas and bleeds are key to ensuring you create content within the parameters of this area. Although trim and bleeds are often terms used in designing for print, they still can come in handy for on screen use as well. Let's briefly go over these criteria. The first thing you want to note is that there are error margins depending on the printer. As the designer you need to be aware of these requirements (which your printer can provide) and abide by those guidelines. 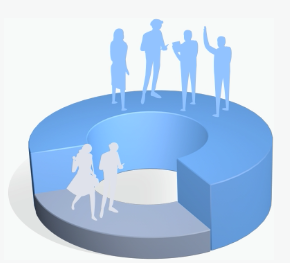 As a rule of thumb try to keep your content at least 1/4" away from the Bleed area. The Trim Marks are basically the guides you provide to the printer on where to cut our design. 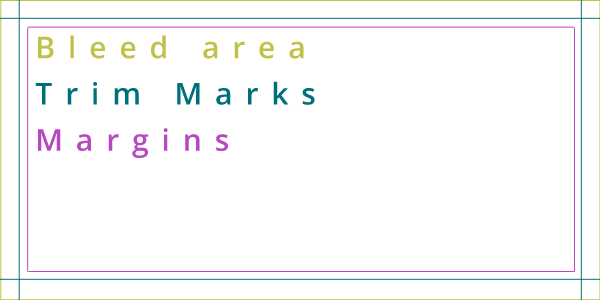 You need to place both vertical and horizontal marks to make sure the cutting process is done correctly. In short let's say you have a business card being printed; often these are printed on large sheets and after the printing they are cut. Avoiding having your content exceed past the trim marks will prevent your content from being potentially cut out of the design area. 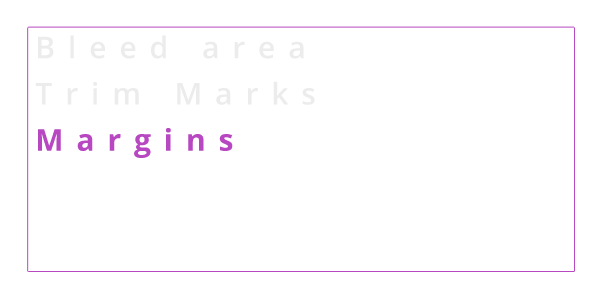 The Margins are the spaces we leave between the important elements of our design and the cut line. We need to make sure we leave space since cutting is not an exact science, and this can bring some errors on our final product. We need to leave at least 3 to 5 mm distance (or about 10-15 pixels) between the important elements of our designs and the cutting line. Aside from print, Margins are essential to clean design. Having content (such as text) too close to edge of your design can look unprofessional. The vertical spacing between our text lines is called interlined or spacing, this is measured from the base of one line to the base of the line above. 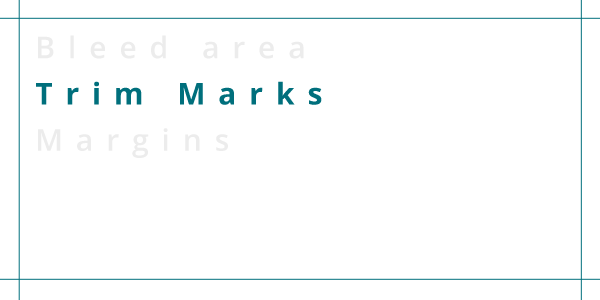 The spacing is an important characteristic that affects text readability. 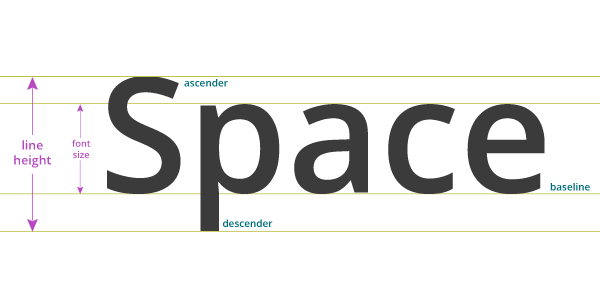 Most design software applies an automatic spacing equivalent to 120% of the text size. This means that a 10-point text will have a 12-point spacing, and a 20-point text will have a 24-point spacing. This is a good rule to follow if you're just started in graphic design. In longer lines it’s recommended to apply a bigger spacing, because when lines are too close to each other the human eye can lose track of the text, and it’s hard to know where a line ends and the next one starts. On the other hand, on short lined text it’s better to reduce the spacing. This also applies to texts that are meant to be read on computer screens (websites or blogs for example). As a rule of thumb increases in the spacing allows for better text readability, and overall a better user experience. written article. I’ll be sure to bookmark it and come back to learn more of your helpful information. Thanks for the post. Thank you. We’re glad you liked the article.